The election was ratified by all the African countries participating in the five-day conference. 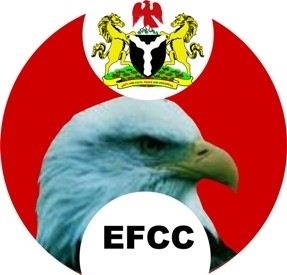 Although its success at fighting graft in Nigeria is rather debatable, Nigeria’s anti-graft agency, the Economic and Financial Crimes Commission, EFCC has been elected Vice Chair of the Conference of the States Parties (COSP) to the United Nations Convention against Corruption (UNCAC). The EFCC disclosed this in a statement by its spokesman, Mr Wilson Uwujaren, on Monday. Uwujaren said the election took place at the 7th Session of UNCAC, which opened on Monday in Vienna, the capital of Austria. The election, according to him, was ratified by all the African countries participating in the five-day conference. He quoted the President of the session, Thelma Aldana, as saying that the feat was a boost to Nigeria's efforts at nipping corruption in the bud. "It is an election well deserved. Nigeria has demonstrated remarkable determination in the fight against corruption and the election into this exalted position is therefore a boost," she said. COSP, the main policy-making body of UNCAC, supports states parties and signatories in their implementation of the United Nations Office on Drugs and Crime (UNODC). It also gives policy guidance to UNODC to develop and implement anti-corruption activities. Uwujaren listed issues discussed at Monday's proceedings to include understanding the links between corruption and violent extremism and citizens engagement in fighting corruption.